Get Your Work Online. Fast. You're a professional. Make sure you look like one. You spend your time and energy capturing, creating and organizing. We spend our time making sure you can display all of your hard work online, quickly and easily. Oh yeah, and make sure you look good doing it. 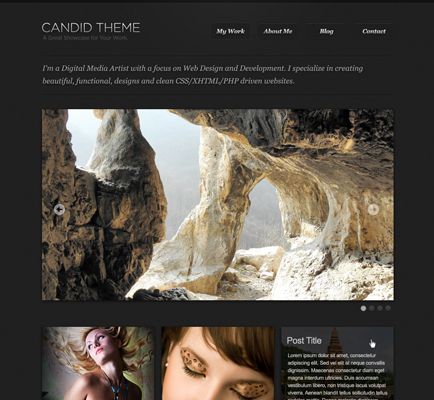 Our themes are built and designed to make you look professional. They are built to integrate closely with WordPress, provide you with useful options, easy-to-manage settings and beautiful designs for your visitors. We want you to be able to customize your theme easily without an intimidating amount of options. If you're familiar with changing settings in WordPress, you're familiar with changing the settings of your theme. That's right, we release updates. 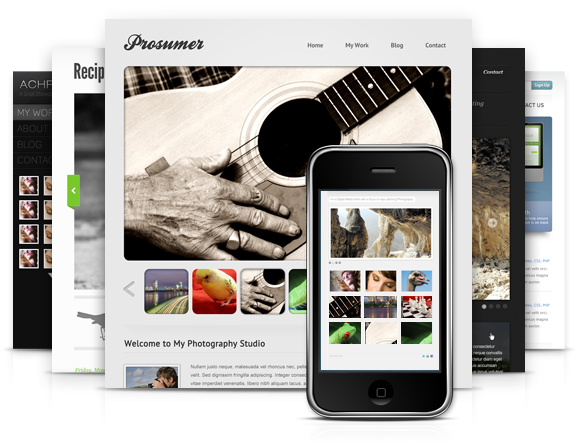 When you use our Shooter Manager, you can update your themes right in your WordPress admin. No worries about checking-downloading-moving-uploading-updating. Even though we offer features that may overlap with your favorite plugins, you can always just disable our options and keep using your awesome plugins. 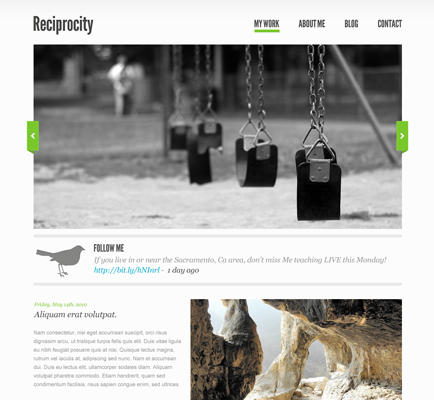 Reciprocity is a beautiful blend of blog and portfolio. When the focus is your work, and you need to say a bit about each of your pieces, this theme is your perfect fit. 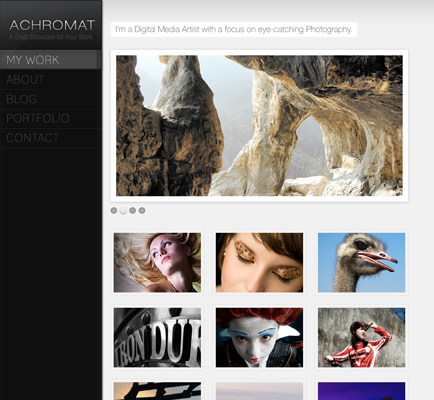 Achromat is a theme focused on those who need the power and flexibility to publish and manage galleries of Photos, Artworks, or Designs, as well as a fully functional blog.